I want to use my own custom buttons on my forms. the help guide I saw referenced a button tab but I do not know where it is located. Thank you for contacting us for support. I am more than happy to help out. 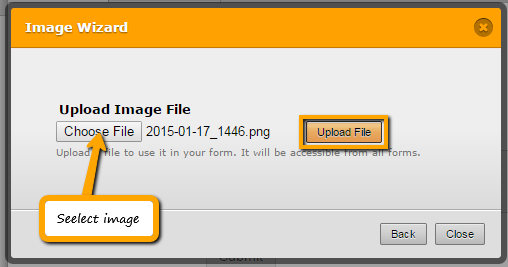 If I understood you correctly, it appears that you would like to use a custom images for the backgrounds of your buttons on your form.. I am happy to say this is achievable with Jotform. To add a background image to you button, please follow the instructions in the screenshot below. 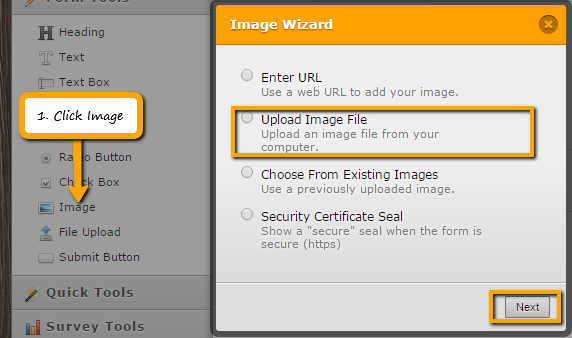 Step #1: You need to upload an image of your choice. Step #2: Paste the link for the image in Button Image option on your taskbar.